Tony Laverick is an established potter who has been making ceramics for over thirty years. Born in Sunderland in 1961, Tony Laverick is now based in Staffordshire. He studied ceramics at Preston Polytechnic between 1981 and 1984 before working in the pottery industry in Stoke, which included two years designing at Coalport China from 1986 to 1988. He now specialises in fine porcelain decorated with precious metal lustres. The pieces are fired as many as six or seven times initially up to 1260 degrees centigrade. Glazes and lustres are then applied at a later stage with lower temperature firings. He is a member of The Craft Potters Association and is frequently featured in the consumer press. 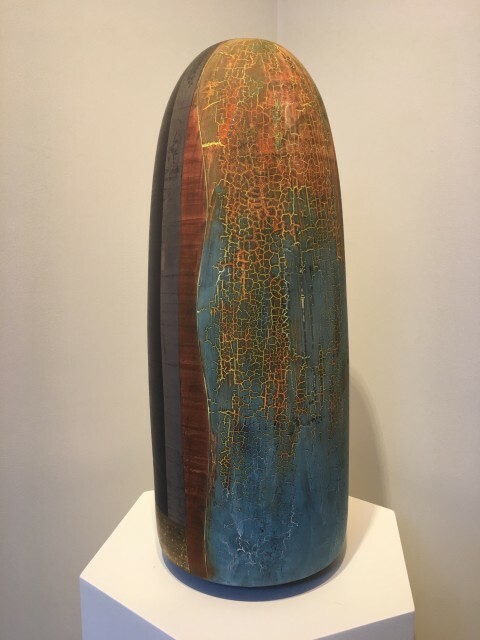 His work is regularly exhibited in galleries all around the world and it is held in both private and public collections including The Ashmoleum Museum, The Gmunden Museum in Austria, Maison de la Ceramique in France and the Deutsches Keramikmuseum in Germany.